Lovely long matches with coloured tops. 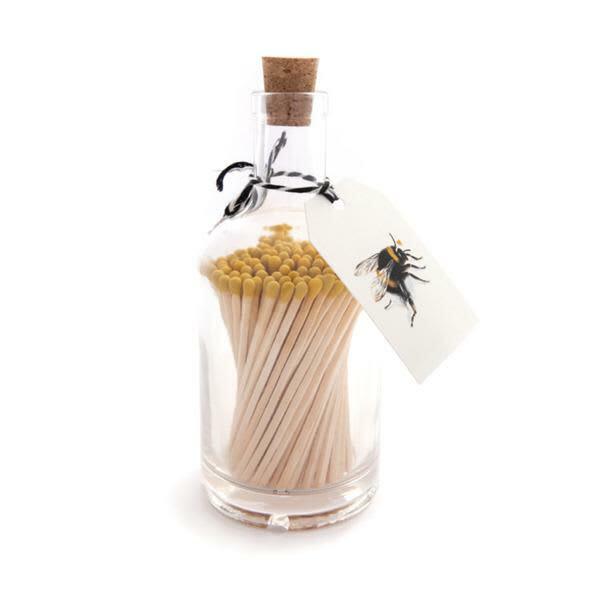 Each match is 10cm long, perfect for lighting crackling winter fires or awkward to reach candle wicks! Or to light many, many birthday candles. Stores in a weighty glass bottle with a cork stopper. There is a strike plate on the bottom.